Frustrated by all of the manual effort and time you’re spending developing complex system-level coverage-driven tests to verify your system on a chip (SoC)? Cadence® Perspec™ System Verifier automates this entire process, reducing complex use-case scenario development from weeks to just days. Compared to manual test development, you’ll be able to generate 10X more tests 10X faster using this platform solution. In addition, with its integrated debugging capability, you’ll be equipped to reproduce, find, and fix complex SoC-level bugs in order to improve the overall quality of your SoC. By applying an appropriate level of abstraction, the Perspec System Verifier can meet the growing challenges of validating SoC performance, function, and power. Using the Perspec System Verifier, you'll benefit from completeness of measurement, with coverage of functionality, flows, and dependencies. You'll also gain knowledge transfer advantages, since the formal, model-based system description supports knowledge sharing between different groups, particularly hardware and software engineers. Mike Bartley, the CEO of Test and Verification Solutions (T&VS), shares his assessment of the emerging Accellera Portable Stimulus Specification. We found that the Perspec technology easily detected issues caused by complex combinations of power mode settings and transitions. The technology can help us dramatically improve productivity and deliver our designs to IoT application developers much faster. With the Perspec approach we get a lot of interesting scenarios “for free” which are difficult to achieve in a directed test. … In case of failures, the scenario viewer helps to understand the intended execution flow. 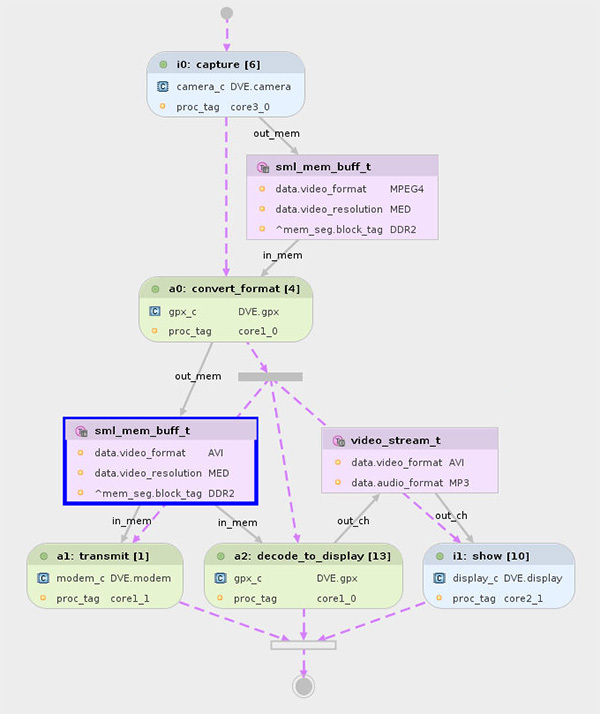 [It was] easy to generate complex scenarios using [Perspec] Composer drag and drop composition and scenario completion. [The] graphical scenario representation enables collaboration. This [Perspec] flow facilitates [absorption of] late design changes rapidly due to	automation in the testbench and test case generation. [Perspec] Verification Engineer increased confidence in power sequence support. [This] methodology could be applied to any low-power (LP) verification. [Perspec] system model changes can easily regenerate all test cases. Generated stimulus code is very well readable based on templates with the same look and feel as traditional stimuli. 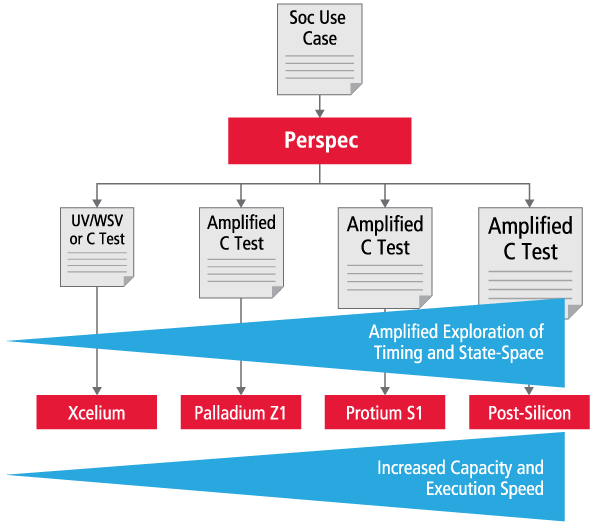 Perspec improves RTL regression efficiency and quality, ...[and] enables software/hardware co-verification.